What a total joy it is to read Peggy Broadbent’s marvelous account of how she taught. She carefully lays out descriptions of how she managed her classes- all the way from including parents in helping with lessons, planning activities on a variety of skill levels-so, each child could feel success, designing towns or cities for social studies, organizing plays, working on reading, writing, and math lessons, discussing literature, and many more exciting approaches- I can imagine any teacher or parents coming away from this book with many exciting ideas to try. Whoever gets their hands on this book will indeed be extremely lucky! Believe me, it’s a supreme adventure to be enjoyed!!! I bought several of these to share with fellow teachers. Everyone of them used the book immediately and was thrilled with it. This is written so beautifully in the voice of the author who is obviously a highly intelligent, thoughtful educator dedicated to insuring that each child learns in his own way and loves doing it. Ms Broadbent studies and learns from her students finding the best ways to teach and inspire. This is not a treatise on education by a theorist, this book is a journey through the real events day to day in an exciting learning environment created by the author. If you are an educator who wishes your students to really love learning and to perform at their highest potential, you couldn’t find a better guide or resource than the insights of this dedicated, experienced teacher. And it’s fun! You hear Ms Broadbent’s voice and the voices of her students and you learn and grow and delight with them. Wonderful programs providing excitement about learning for all children. Peggy’s programs appeal to all ages and various levels of ability. Be sure to look at the web site to download materials to use in a classroom – activities that children will gravitate to. Her book is a must for early childhood educators. Who has ever heard of a second grader who loved taking one-minute, timed math tests? A child who had a blast — even spent free time — racing against her friend to see who could finish the test first, with the higher score? Peggy Broadbent nurtured the scientist, the storyteller, the inventor, actor, artist — and mathematician — that is in every child. In her book, Broadbent shares her time-tested, kid-tested methods for teaching young children. The book is a generous source of information and resources developed during her many years as a successful, public school teacher in a combined first and second grade classroom. Find out how classroom organization, structured and unstructured class time inspired an excitement for self-guided, collaborative learning amongst her students. This book is a testament to Broadbent’s faith in children and the fact that children are natural, ready learners when given a friendly environment that is ripe for discovery. Years ago, I was that kid who loved taking timed math tests. Today, reading her book, I realize that she was teaching us at every moment of the day, though most of the time I thought we were just having fun. But for Mrs. Broadbent and her students, learning and fun go hand-in-hand. This book is a fantastic resource for elementary school teachers who are looking for inspiration. It contains so many wonderful programs, all honed over years of practical experience. One underlying theme of the programs is that they are designed to harness the natural enthusiasm of children for learning. The author truly understands that children are natural explorers, and that it is through self-initiated exploration that they learn the most. One important thing to note is that the book is not intended to set forth a one-size-fits-all approach. Although the programs described in the book were implemented in a combined 1st/2nd grade classroom, they can be readily adapted for older or younger children. Likewise, the programs can be adapted to meet the particular needs and interests of any group of students. I am so pleased to see Broadbent’s teaching program available to others through this book. Her method works! It works for every one of the students in a classroom full of children of varying ages and abilities. The students learn because the method is based on an understanding of a child’s natural cognitive development. The growth that this program nurtures extends, as it states in the title, from academics into a child’s sense of personal self-worth. Teachers who employ the early childhood education programs outlined here will be providing their students with a foundation for success. Just what I’ve been looking for. Programs are outlined completely and come with already made charts. Entertaining too. Can’t wait to see my kids own ‘Kiddie City’!!! What a help! 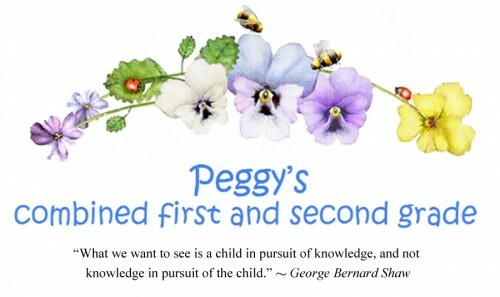 Peggy’s book: Early Childhood Programs: Opportunities for Academic, Cognitive, and Personal Success. Included is a web site where programs and activities can be downloaded for use in a classroom.